One regular day this past fall, I found myself taking an afternoon nap in the middle of the week. As I try to take naps as much as possible, the fact that I was napping wasn’t a big surprise. But I was rousted from this particular nap by a call from New York. It was Travis Larchuk on the line, a producer at NPR’s Morning Edition program, and he wanted me to get sound for him for a story. Since I’d never received a call from NPR before, I almost fell out of bed with excitement. Of course, I said yes. I soon attended the eighth Swede Fest in downtown Fresno. The event’s founders, Roque Rodriguez and Bryan Harley, are friends of friends, but I had never attended before. The Swede Fest is the world’s only festival dedicated to “sweded” films. As Roque and Bryan say on their website, “a sweded film is a summarized, low-budget recreation of a popular movie– starring you!” Swede Fest gets its name from the 2008 movie “Be Kind Rewind,” starring Mos Def and Jack Black as two very unlikely neighborhood film heroes. 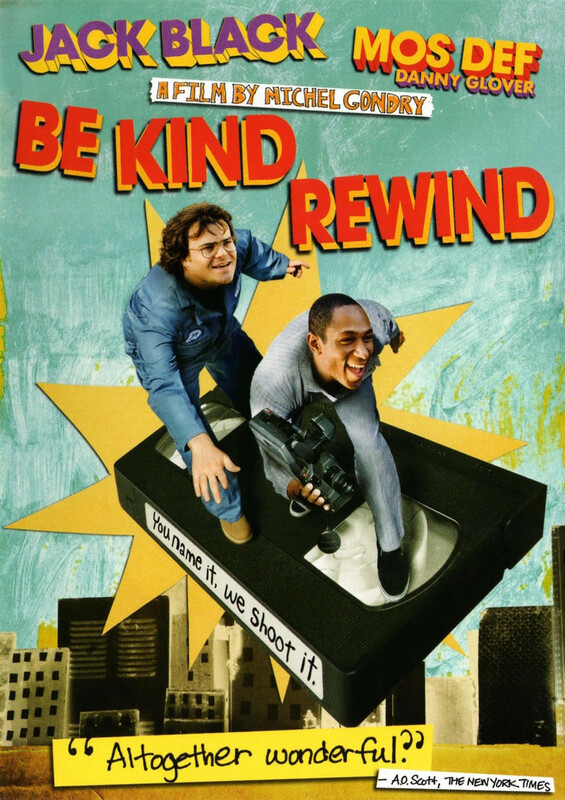 This past week, I showed “Be Kind Rewind” to my Journalism 1 students at Fresno City College. The class is an intro to mass communication course, and we watched the movie in two parts as we’re covering the chapter on film. I hadn’t seen the film for a few years since it played in theaters, so I was a bit worried that some of the references might come across as dated. But the students loved it! Director Michel Gondry has such a whimsical way of making art, from music videos to feature films. His imagination and his shooting style often converge in charming and unexpected ways, and the complex social lessons of the movie actually offer some terrific insights about the film industry and about how urban blight affects the imagination of the working class.